The newly redesigned Volkswagen Jetta is a compact car with an accessible starting price that’s also packed with features and fun to drive on Brandon roads. Browse our inventory at Reeves Volkswagen in Tampa to find a Volkswagen Jetta for sale that has what you want. Moonroof, Heated Seats, Smart Device Integration, Lane Keeping Assist, Cross-Traffic Alert, Blind Spot Monitor, Turbo Charged Engine, Back-Up Camera, COLD WEATHER PACKAGE, Aluminum Wheels, Dual Zone A/C, iPod/MP3 Input, Premium Sound System, Satellite Radio. PYRITE SILVER exterior and BLACK LEATHERETTE interior, SEL trim. Warranty 6 yrs/72k Miles - Drivetrain Warranty; KEY FEATURES INCLUDE Heated Driver Seat, Back-Up Camera, Turbocharged, Premium Sound System, Satellite Radio, iPod/MP3 Input, Dual Zone A/C, Blind Spot Monitor, Smart Device Integration, Lane Keeping Assist, Cross-Traffic Alert, Heated Seats. MP3 Player, Sunroof, Onboard Communications System, Aluminum Wheels, Keyless Entry. OPTION PACKAGES COLD WEATHER PACKAGE Heated Rear Outboard Seating Positions, Remote Engine Start w/Remote Key Fob, Heated Front Washer Nozzles, Lower Windshield Heated Wiper Area, Heated Steering Wheel, Washer Fluid Level Indicator. Volkswagen SEL with PYRITE SILVER exterior and BLACK LEATHERETTE interior features a 4 Cylinder Engine with 147 HP at 5000 RPM*. 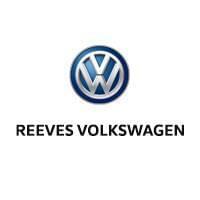 BUY FROM AN AWARD WINNING DEALER Welcome to Reeves Import Motorcars, a family owned and operated business since 1971. On behalf of our staff, thank you for visiting us on the Web and giving us an opportunity to acquaint you with our dealership. Our commitment to perfection is exceeded only by our resolve to offer you the highest levels of guest services in the luxury automotive industry. Our professional and well trained staff is ready to assist you with your new or pre-owned automotive needs. While every reasonable effort is made to ensure the accuracy of this information, we are not responsible for any errors or omissions contained on these pages. All offers are mutually exclusive. All vehicles subject to prior sale. Please verify any informa Horsepower calculations based on trim engine configuration. Please confirm the accuracy of the included equipment by calling us prior to purchase. Experience the Volkswagen Jetta interior in person by scheduling a test drive at Reeves Volkswagen in the Clearwater area. Whether you decide to lease or buy, it’s easy to take this sedan home–fill out a financing application online to get the process started. Take advantage of Volkswagen Car-Net to improve your drive! Be sure to explore our used Volkswagen Jetta inventory for more options. Be sure to compare the Volkswagen Jetta vs. Mazda3 or even the VW Passat to learn more! Be sure to check out the Jetta MPG, which helps you save even more at the pump.